The ASPCA works with local, state and federal legislators to help enact meaningful protections for animals. We also offer advocacy training and support for citizens who wish to engage in grassroots lobbying. Stay informed and get involved—politics is not a spectator sport! See a list of current, actionable alerts below, and then use your voice to improve laws for animals. Help us permanently ban the slaughter of American horses, both nationwide and over our borders. Important legislation to reduce red tape around helping victims of cruelty needs your voice. Tell Congress to make sure animal facilities have emergency plans in place before disaster strikes. 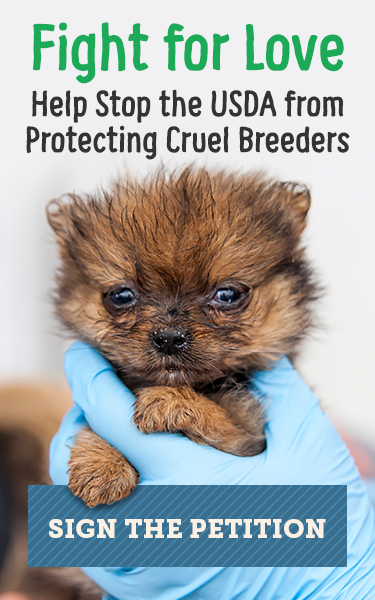 Urge your U.S. representative to take action to ensure the worst commercial puppy-breeders cannot evade oversight. Congress will soon tackle FY2020 appropriations, which could decide the future of horse slaughter in the United States. Tell the USDA to adopt stronger standards of care for dogs in commercial breeding facilities. Urge your U.S. rep to join the Congressional Animal Protection Caucus. Use your voice for at-risk horses by joining the ASPCA Horse Action Team. A bill that could stop Alabama’s communities from enacting local protections for puppies was introduced and is being fast-tracked through the Alabama Legislature. Speak up now! The Los Angeles County Board of Supervisors approved a motion that will help create more pet-friendly housing. Legislation to make it easier for veterinarians to report suspected animal abuse without risking their careers needs your help. You state lawmakers are considering important legislation that would make a huge difference for pets in your state. The Boston City Council voted unanimously to adopt a more sustainable food system and improve the lives of farm animals. Dogs won big on April 2! Learn more about the vote that overturned your city's pit bull ban. Legislation that would help your state's canine victims of cruelty needs your voice. Speak up now. "Right to Farm" is really "Right to Harm"! Please help us stop this dangerous bill from becoming law. Two important bills that would help cruelty victims are being considered by Gov. Murphy. Speak up now! Your assemblymembers need to hear from you in support of a bill to ban predatory pet leasing in your state! 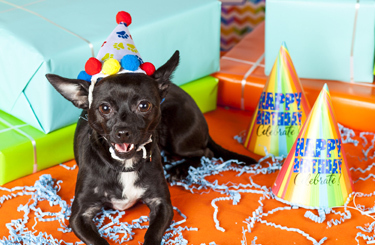 A bill to ban the sale of dogs and cats in New York's pet stores—and help end puppy mill cruelty in the process—needs your voice. Urge your state representative to say no to a harmful bill that would protect profits instead of puppies. Your vote can overturn the pit bull ban. Dogs need your voice before April 8! Oppose legislation that would roll back the progress made for puppy mill dogs in Tennessee. Help stop a harmful bill that protects the interests of “Big Ag” over the rights of the state’s people and animals! More welfare-certified farms in Vermont means better lives for farm animals, better markets for farmers, and a more transparent, humane food system. Using your zip code, look up your elected officials and their contact information. We’ve created a step-by-step e-advocacy guide to help you begin impacting policy with just a few clicks of your mouse. As an advocacy volunteer, you'll help us pass animal-friendly legislation and mobilize other animal advocates in your community.